Andrea Brooks Azie Tesfai Chyler Leigh David Ajala David Harewood DC TV DCTV Derek Simon Jesse Rath Jon Cryer Katie McGrath Mehcad Brooks Melissa Benoist Morgan Glennon Nicki Holcomb Nicole Maines Rebecca Johnson Robert Baker Supergirl Supergirl Radio Supergirl Season 4 Tawnia McKiernan The CW Warner Bros TV. After publishing this episode, I finally understood what @slfricky meant about “Human for a Day”. If we think about “four years ago” in terms of seasons of the show, Lex’s Red Sun may have happened during Season 1. That could be the case, but I don’t know if we know what they are referring to when they say “years”. 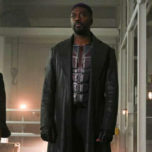 It could be that the time of the Red Sun happened before the show started (pre-Season 1). We may discuss this in the next episode of Supergirl Radio because it’s a good point! I think Eve is the one who shot James. It also makes sense with the security issue at CatCo because she has access to it being Lena’s assistant. So if she ran into the guard downstairs, the guard wouldn’t bat an eye. Or she knows the guard’s schedule so she could’ve passed without notice. I agree with your guys’ feelings about Kelly and her lack of emotion. When I heard about the actress being signed on as a regular even BEFORE we saw the episode, I thought it was the strangest thing. The audience didn’t even get a chance to see if they like the character and so far I’m not impressed. I guess they had some focus group to see if she would be good. One of your listeners suggested Mercy is disguised as Eve. While listening to your podcast, something for Conspiracy Corner is Mercy could’ve been disguised as Kelly just pulling strings because she (as possibly Mercy) knew the power would go out so she could delay until Lena got the serum ready. Which would explain her lack of emotion. On a side conspiracy note, there was a photo going around with Eve in some sort of plaid dress and Lena is standing free near a bust holding a gun. Is Eve double crossing Lex? Or did she knock out fake Eve/Mercy? Listener email theory of Mercy as the President….hmm. When did the president start acting super sketch? Was it after Mercy “died”? Alex knows where the cloaked mansion is when they hid Ruby there. And she knows the code and it didn’t look like Lex had time to change it. Not sure how Kara knew to go there but whatevs…we’ll ignore that like the Luthor age gap. I feel like the Red Sun incident with Lex might’ve happened pre season 1 because he is only concerned about Superman when he’s going through his diatribe to Lena. Then he gets arrested and Lena takes over the company. 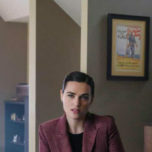 But it might’ve taken her a couple of years for everything to fall into place because of Lex being on trial and he had to get convicted which is where we meet her in Season 2.